I had so much fun yesterday trying Beckys tutorial which you can check it out HERE that I wanted to see how I would get on doing a tutorial by another YouTuber that I love. 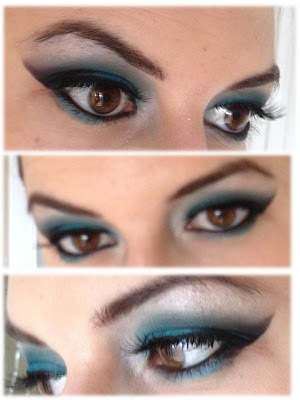 Today I have decided to try TildzBox's take on a blue smokey eye. I had alot of fun watching her tutorial and trying it out. I did not use the same products as Tilda but I found good substitutes. There are so many woman on YouTube doing tutorials for all sorts of make up looks but does anybody actually try them out? I know I've done them in the past and not expected anyone to try them out even though I have put alot of effort into filming and editing. Iv'e decided to try other guru's looks out and make this a regular blog post. It will be a great opportunity for me to improve my skills and use up the make-up I have sitting in my draws. Ah i'm a beginner! I followed tildz very good tutorial. She made all the steps very clear. You look great, the blues really suit you. I've been trying out looks from YouTube tutorials a lot lately, I used your wearable gold look over Christmas. This is ACE Sarah! I'm loving it!! Your tutorial was really straight forward and to the point! I love it, might try it using different colours. I didnt think i had it in me! Thank you! I only realised lately i watch all these tutorials and never think I can do them myself. Theres only one way to find out aye! Im grand thank you, kind bored. would love to run away to cuba with shane and eat fine food everyday! Thank you :D Id love to wear make-up like this everyday! Thats my type of valentines make up, mysterious and sultry! That is an incredible look! You look absolutely amazing, so dramatic and gorgeous! Definitely going to watch the tutorial now! Subscribe for Email up-dates of new Posts. HD Brows - The patch test. 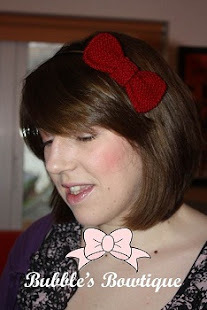 Iv'e been awarded the Versatile blog award! My attempt at Beckys 'Fierce Flowers' look. Ask permission for use of photos and always mention where you got it by linking. Theme images by merrymoonmary. Powered by Blogger.